Guanidinopropionic acid (N-(aminoiminomethyl)-beta-alanine) is a creatine monohydrate analogue. Basically, it mimics the effects of insulin without the need for carbohydrates, as well as the positive glycemic properties of carbs, which include transporting nutrients, loading muscles with glycogen for fullness and vascularity, supplying readily accessible energy sources for intense training. As it does not need carbohydrates, the negative effects of carbs such as storing excess carbohydrate calories as fat and negatively affecting energy levels by causing rapid rises and falls in blood sugar levels, are eliminated. That is why guanidinopropionic acid is really popular to athletes, and it is a common ingredient in products containing creatine monohydrate, to the point that it has the potential to replace the famous insulin injection many bodybuilders have after exercising, which can be very dangerous. In the case of those who are “insulin resistant”, since their blood sugar levels are not lowered by the release of a normal amount of insulin, they continue to release more insulin in the attempt to lower blood sugar levels and regulate the insulin/glucose balance. But when this insulin excess happens, carbohydrates are not efficiently metabolized. This means carbs are stored as body fat, instead of being used as energy or for loading muscles with glycogen. 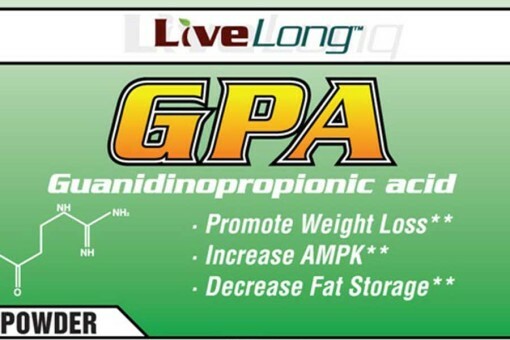 However, in those cases guanidinopropionic acid helps to regulate insulin function, which within the context of low body fat levels is an anabolic hormone. So it helps the body to make new muscle tissue from dietary protein and increases its uptake of creatine to muscle tissue. Regarding creatine monohydrate “non-responders”, they may benefit from using a product containing guanidinopropionic acid. A non-response to creatine usually has little to do with creatine itself, as it is instead more related to the internal state of the body. 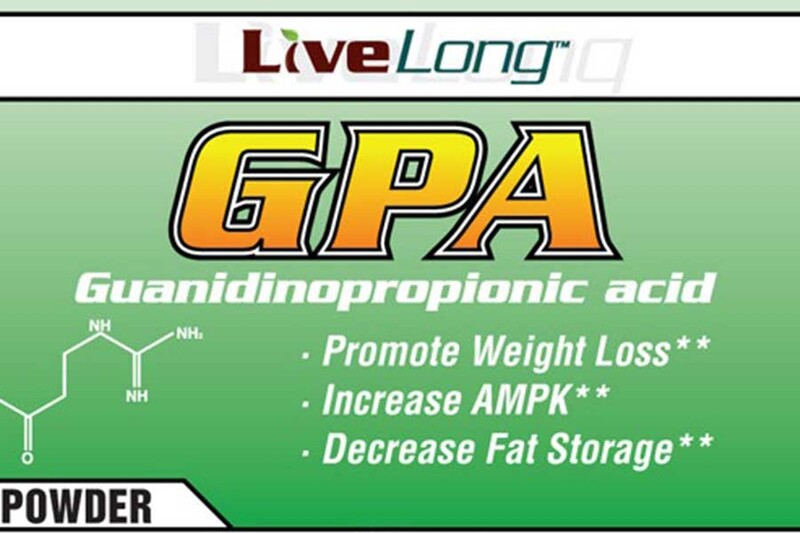 Guanidinopropionic acid may be helpful in terms of helping the body to take up more creatine, which may result in non-responders getting the results they desire. According to the results of a trial performed at Division of Pathology and Neuroscience, University of Dundee, and Ninewells Hospital and Medical School, also in Dundee, 3-guanidinopropionic acid derivatives reduce body weight in obese, diabetic mice. Experts have assessed whether one of these analogues, BVT.12777 activates intracellular signalling pathways in the arcuate nucleus in a manner analogous to leptin and insulin. In addition, because these hormones have been shown to activate KATP channels in a subset of arcuate neurones, they examined whether this channel is also a functional endpoint for BVT.12777 in the arcuate nucleus. Finally, they observed BVT.12777 transiently increased phosphorylation of MAPK, STAT3, PKB and GSK3, in a manner identical to that observed for leptin and insulin. BVT.12777 also hyperpolarized glucose-responsive neurones by increasing the activity of KATP channels. The increase in KATP activity driven by BVT.12777 was PI3-kinase independent, unlike leptin and insulin activation of this channel, and could also be elicited in isolated patches. However, KATP activity induced by BVT.12777 was dependent on acting filament dynamics, both in intact neurons and isolated patches. Thus, BVT.12777 modulates arcuate neuron KATP activity by re-organization of the cytoskeleton, a mechanism that has also been ascribed to leptin and insulin. Consequently, BVT.12777 appears to act as a leptin and insulin mimetic with respect to at least some elements of arcuate neuron intracellular signaling and the activation of KATP channels. Resistance to leptin and insulin, associated with obesity has, at least in part, been postulated to be due to aberrant intracellular signaling in arcuate neurons. However, the action of guanidinopropionic acid has proved to be efficient regarding to this subject during this trial. As some needs may vary from one individual to the other, all persons should consult a physician before incorporating any dietary nutritional product into their general health or fitness programs. So, a professional should establish the right doses depending on the case. In terms of side effects, they tend to be rare, since none have been reported at the time of writing.